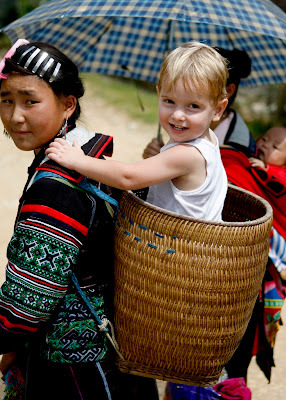 I had heard that far north Vietnam was beautiful, phrases like where heaven meets earth were being quoted left right and centre. It looked like a photographers dream so on our list it went. The thought of arriving on an overnight train excited the kids. So all boxes were ticked, all family members catered for, which can be a challenge at times. 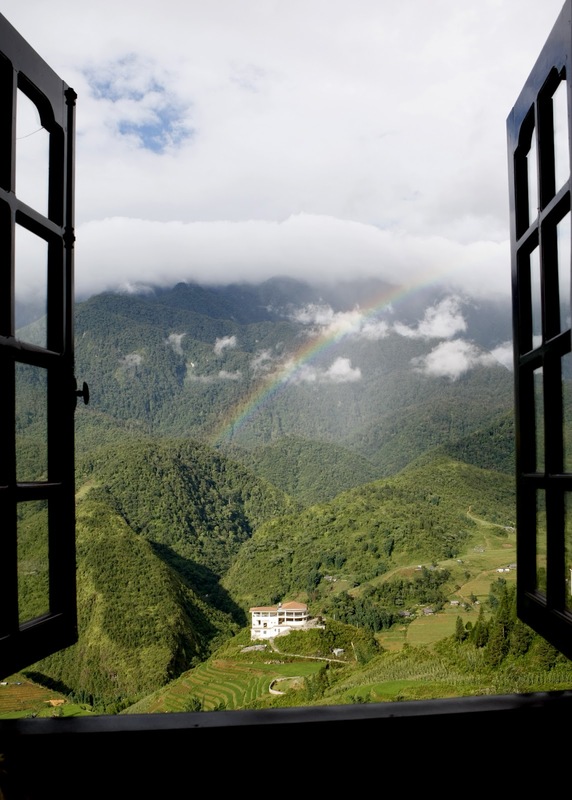 In a beautiful valley close to the Chinese border, Sapa is a former hill station built in 1922. History has not always been kind to Sapa, and the series of conflicts that swept over Vietnam nearly saw it wiped off the map. From WWII, successive wars against the French and the USA, not forgetting the more recent border skirmish with China in 1979, took their toll. The old hotels built by the French were allowed to fall into disrepair and Sapa was forgotten by all but a handful of residents. 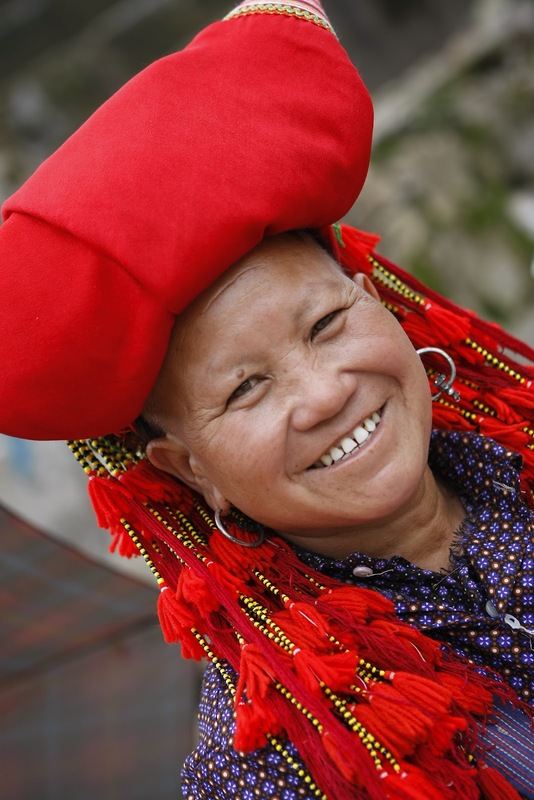 With the advent of tourism, Sapa has experienced a renaissance. Bad roads have been upgraded, many streets have been given names, countless new hotels have popped up, the electricity supply is reliable and the food has improved immeasurably. 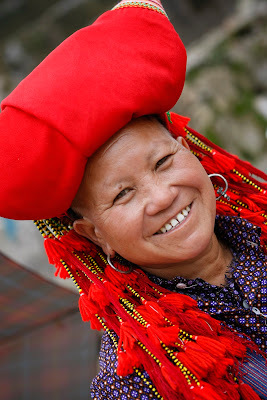 Inherent in all of this prosperity is cultural change for the Montagnards, many of whom are now well versed in the ways of the cash economy and are reaping the financial rewards of the tourism influx. The downside is a building boom that has seen one hotel after another raise the roof in a continual quest for better views. 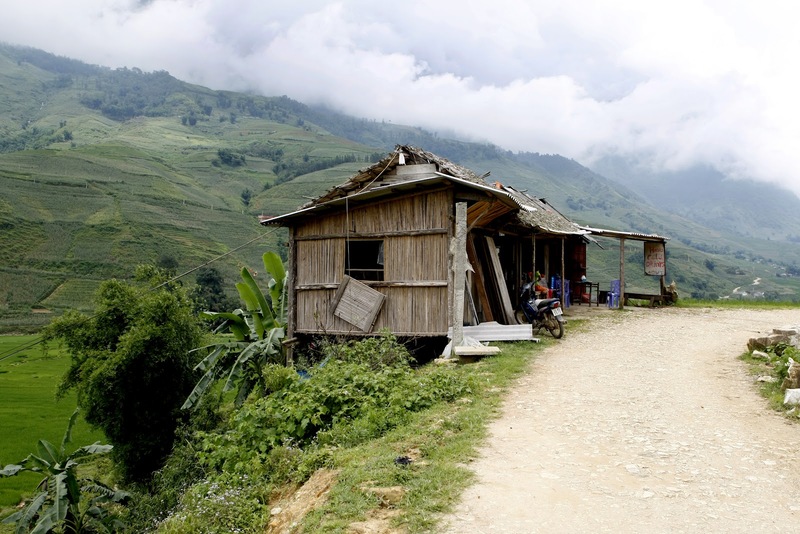 Height restrictions are rarely enforced and the Sapa skyline is changing for the worse. Another inconvenience that will not change is the weather. If you visit off-season, don’t forget your winter woollies. Not only is it cold (like 0°C), but winter brings fog and drizzle. Quite why the French alighted on this spot is difficult to comprehend: it must have been one of those rare clear days when the views are to die for. The chilly climate does have its advantages, however. The area boasts temperate-zone fruit trees bearing peaches and plums, and gardens for raising medicinal herbs. 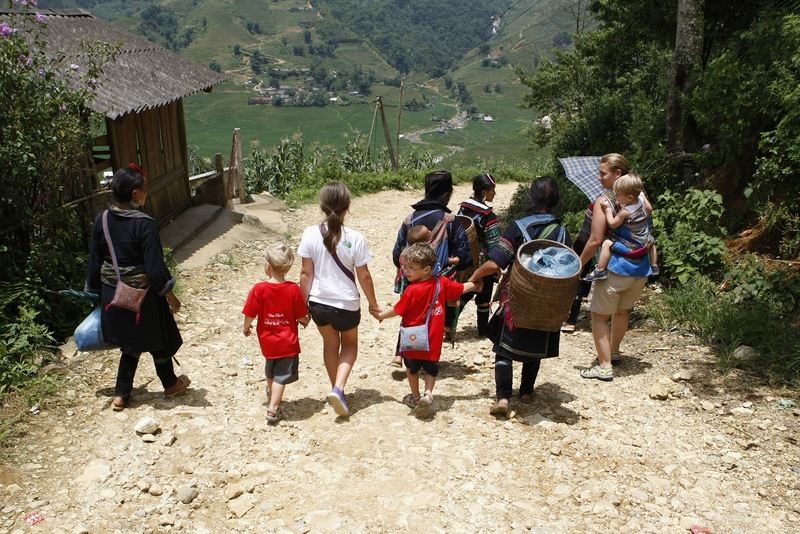 The dry season in Sapa lasts from around January to June. January and February are the coldest (and foggiest) months. 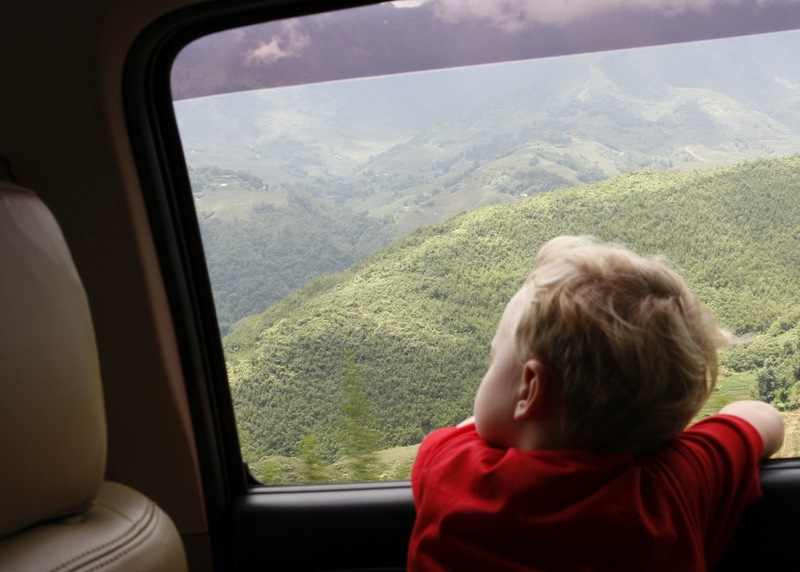 From March to May the weather is often excellent, and the summer is warm despite the rains between June and August. The window from September to mid-December is a rewarding time to be in Sapa, though there is a bit of lingering rain at the start and the temperature dips by December. The view from our room, it does not get better than this ! We stayed at Sa Pa Eden Hotel, this 3 star property received great reviews not only for its location, but for its kind and friendly staff. The property definitely lived up to the reviews. The family room although simple in decore, was comfortable and our view was to die for. The hotel was at the beginning of the road to Cat Cat village, we enjoyed a half day walk down hill into the village, stopping to buy a traditional H'mong baby carrier along the way. 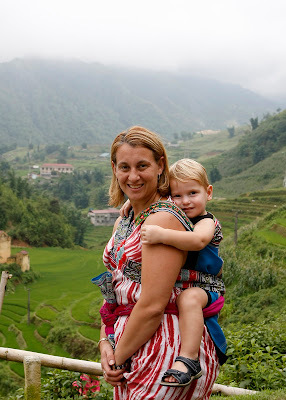 Both Phoenix and I agree that it is super comfortable, no wonder the H'mong babies are happy to sleep all day while their mothers work either in the rice fields or guiding tourists along treks. Morgan was most interested in the fresh produce at the markets, often wanting to look or touch for himself. 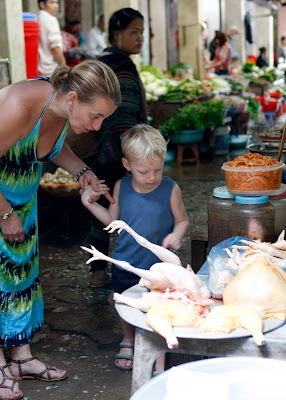 The local market was a wonder to us, the kids especially. We would go buy fresh fruit each morning and the colorful and sometimes unusual produce was a great conversational point with the kids. The scenery was more than breath taking, the air was so clean and we found ourselves being far more active than we normally would be, trekking a few kilometers each day. There was always something to see and always a perfectly positioned cafe or restaurant to stop at to catch our breath and take in the view. Your welcome my dear, hope the weather is as kind to you as it was us. Enjoy !